All six contenders are now known for the Elimination Chamber match to establish the new WWE women's tag-team champions – but who will take the gold? Three pairs from Raw and three from SmackDown will throw down in the punishing structure as WWE resurrect a championship which has laid dormant for more than 31 years. Not since The Glamour Girls won the straps from the Jumping Bomb Angels at a non-televised event in Japan in June 1988 have there been women's tag titles in WWE. But all of that will change on February 17 when new champions are crowned live on Sky Sports Box Office. The Boss n Hug Connection are the stand-out favourites to become the champions - they are both former world title holders and are in the top tier of WWE superstars in the women's division. 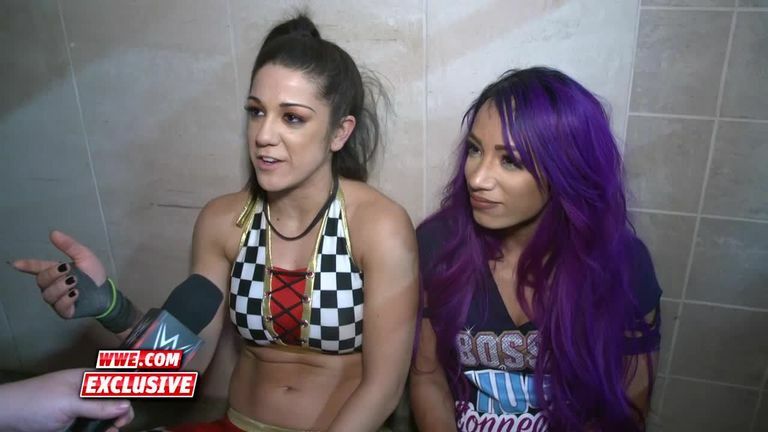 During her successful short program with Ronda Rousey, Banks showed her character remains as popular as ever and Bayley will always have support among the WWE fans. If they were to win the titles, it would be a very popular choice. But there is some talk that Banks is currently working through an injury and notably she did not tag in during her match alongside Bayley on Raw this week. It might not have come for a worse time for the duo, although they remain strong Chamber favourites. The only team in the event to not have an official name, Tamina and Nia Jax's chances of taking the gold have potentially been reduced by the success of the latter's angle at the Royal Rumble. Jax's interaction with the men created the most memorable moment of that event and has generated a real buzz that WWE could be about to stage an ultra-rare intergender singles match. If such plans are limited to the minds of the fantasy-booking fans, then Jax and Tamina stand a strong chance of getting the belts and being a heel team for Bayley and Banks to pursue, leading to a WrestleMania title match. It seems Ruby Riott is about to be paired with Rousey for a pre-WrestleMania mini-feud and so it is likely she will need her associates to fill out the matches and build-up angles to heat up that particular program. While both competitors - and especially Morgan - have made improvements in the ring, their win-loss record tells you they are not highly thought of by the booking team. A win in the Chamber would give them a huge kick-start, but it also looks highly unlikely, even though WWE does like to shock. The IIconics have a level of support among the WWE fans which may surprise some considering how regularly they lose matches on television. Their promo work - especially when improvising - is probably the best of all of the teams in the Chamber and there would be a logic to giving them the titles to enable them to take their characters to a new level. But winning the championship would still represent a significant shock for a team who only have two main-roster wins to their name; the most recent being at the Super Show-Down pay-per-view in Melbourne last October. 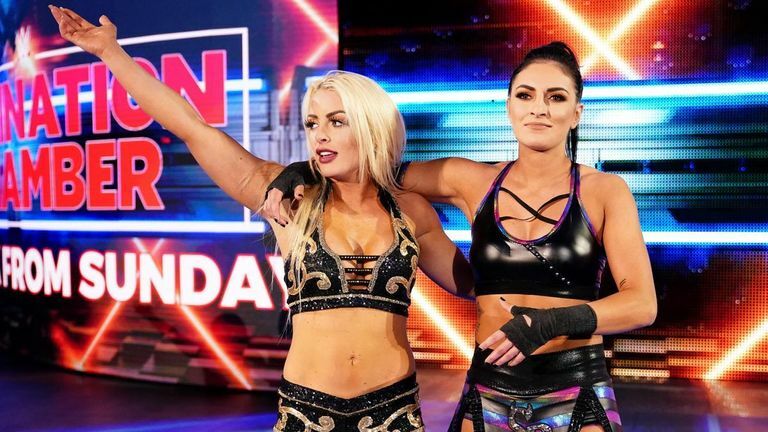 Despite some teases of a split in recent months, Mandy Rose and Sonya Deville - now collectively known as Fire & Desire - are very much on the same page for the Elimination Chamber. Giving them the titles does have a logic to it: Rose has been used fairly prominently in a temptress storyline on SmackDown while Deville is a very good role model for the LGBT community and having her as a champion would help WWE present that message. While not huge names, Rose and Deville might not be a bad outside bet to take the gold. Former world champions Naomi and Carmella form an interesting pair in the bid to become WWE women's tag-team champions. The third SmackDown team is the only one made up of former blue brand champions, with both Naomi and Carmella boasting recent title runs. 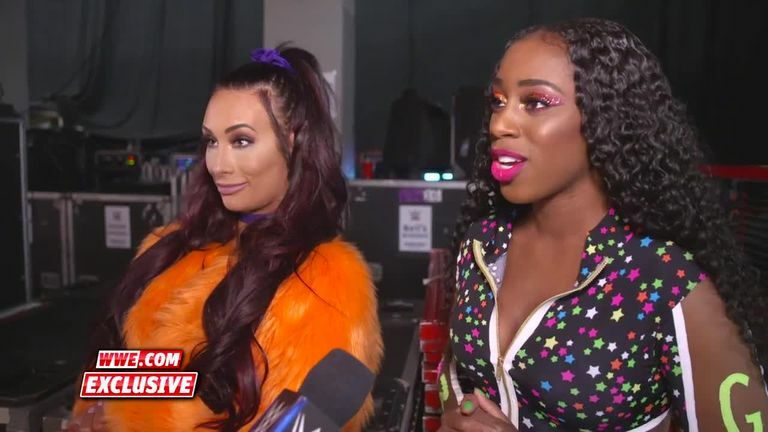 They go into the Chamber match as 'the Fabulous Glow' as something of a thrown-together unit but one featured two established names who are rarely far from the Tuesday night spotlight. LISTEN: Sky Sports Lock Up podcast! Carmella has made great progress in the past 12 months and Naomi can always be relied upon to deliver in the ring, so a title win is not as outlandish as it may initially seem.